Firstly, we would just like to say a HUGE thank you to everyone who is currently stocking our crisps. We have been overwhelmed by the support we have received nationally, and we continue to love seeing photos of our crisps on your shelves! Please keep sending them our way as we will shortly be featuring them on our social media channels. We thought that we’d just mention a few of our new local stockists from the rolling hills of Herefordshire and Worcestershire. 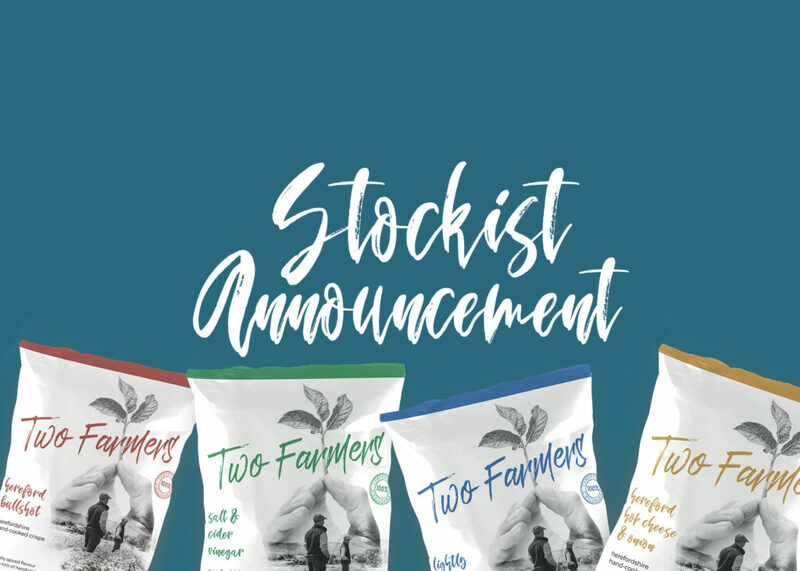 The newly opened store, located in the village of Bartestree, Herefordshire houses plenty of fresh food, local produce and now Two Farmers crisps! Currently tucked up safe and sound in their Wormelow store, you can find our crisps amongst great local food, fresh and quality produce. If you’re planning to embark on a hike up to the Malvern Hills, then make sure to stop by Le Delice in Malvern and grab a packet, or two, of our delicious hand-cooked crisps. Keep an eye out on our website and social media channels for more stockist updates. In the meantime, keep crunching!